Some players just can't get enough first-person shooter action, and that undying need for tense shootouts has culminated in a surprising number of different mobile FPS titles, with five of the biggest releases being previous games in the Modern Combat series. Series developer Gameloft has been perfecting the mobile FPS recipe for quite some time, and following a soft launch in the Philippines back in April this year, it looks like the team is finally ready to launch the latest title in the Modern Combat series. It's called Modern Combat Versus, and it'll be landing on iOS, Android, and Microsoft-powered mobile devices across the world this Thursday, September 28. Often compared to other modern shooter titles like Call of Duty, Modern Combat Versus shares many of the most popular features of the FPS genre, including the ability to join in on team-based multiplayer battles and earn experience in order to unlock weapons, call signs, exclusive skins, and other goodies. Unlike many other of the more common shooters on the market, however, Modern Combat Versus employs a class system offering players the chance to choose one of 12 different Agents in four distinct classes, each with their own specific strengths and weaknesses. As might be guessed based on the game's title, Modern Combat Versus is a specially-tailored multiplayer experience; player's wont find any included single-player campaign, because there isn't one. And, for the time being at least, there's only one gameplay mode: it's called Zone Control, and it's a spin on classic capture-the-flag that pits two teams of four against one another in a battle to control a location on the map. Five maps will be available at launch, and players will eventually be able to collect or use in-app purchases to acquire coins in order to purchase new Agents, form their own clans, and even topple the charts by conquering competitive ranked leagues. 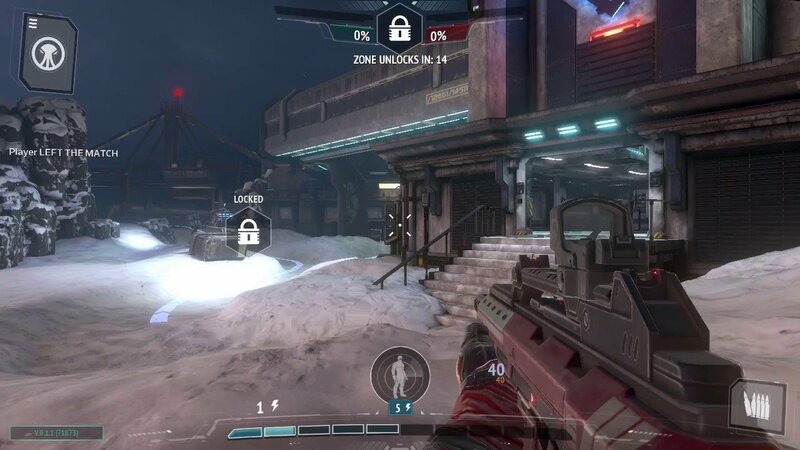 Gameloft has ambition to break Modern Combat Versus into the eSports scene, so any players interested in what may be the next biggest mobile shooter would do well to check it out. Modern Combat Versus can be found this Thursday over on the Apple App Store, the Google Play Store, and the Microsoft Store. Looking to load up your device with more free-to-play experiences? Check out some of the freebie favorites we've featured on our list of the Best Free To Play Games.